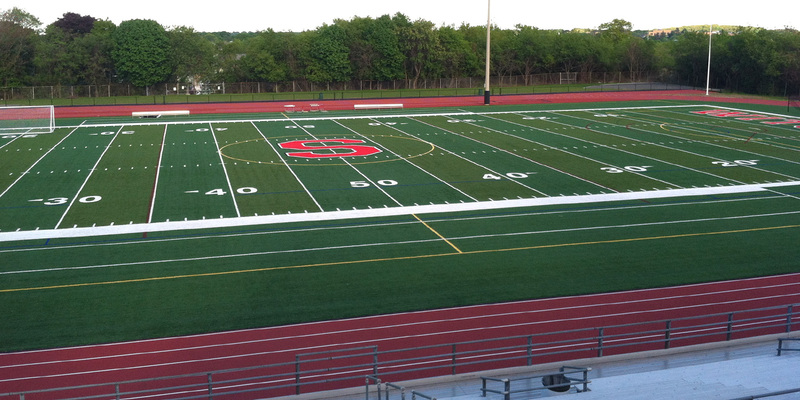 Huntress Sports provided site investigation, design, engineering and permitting for this new $2.3m, 400m track, and multi-purpose field at Salem High School. The project scope included full topographic survey and wetland delineation, geotechnical investigation, drainage and grading, athletic field design and detailing, electrical engineering, sports lighting design, 1000 seat grandstand and associated site work. The presence of arsenic n the topsoil required an LSP to be included as part of the project team. Early identification of this issue and proper planning helped to minimize the cost and reduce the time lost throughout construction due to contamination of urban soils. 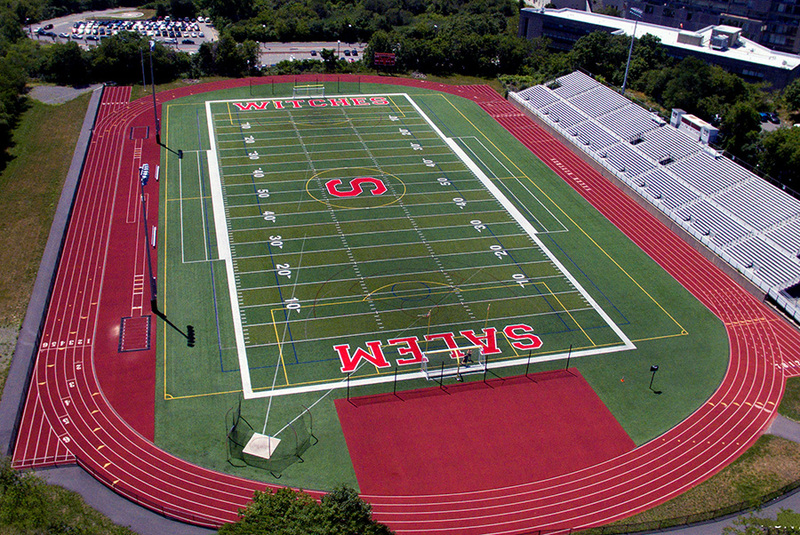 The new field will accommodate MIAA / NCAA Football, Soccer, Lacrosse, & Field Hockey.